Lenin's State and Revolution is a broad assault on revisionism. Its impulse lies in Lenin's boundless political ambition, namely his craving to acquire absolute power in Russia in order to instigate a worldwide revolution...If his ambition was to be realized, Lenin had to insist on violent revolution and the abolition of the existing state. ...What Lenin was obliquely arguing was that a clean sweep must be made of the existing political mechanism in order for the Communist party, of which he was undisputed leader, to take power. And that power was to be unrestrained. Richard Pipes is Professor of History, Emeritus, at Harvard University and was director of Eastern European and Soviet Affairs at the National Security Council in 1981-82. 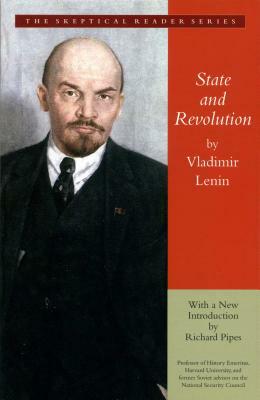 His introduction to Lenin's State and Revolution examines the context in which it was written as well as the effect it had on the world at large.